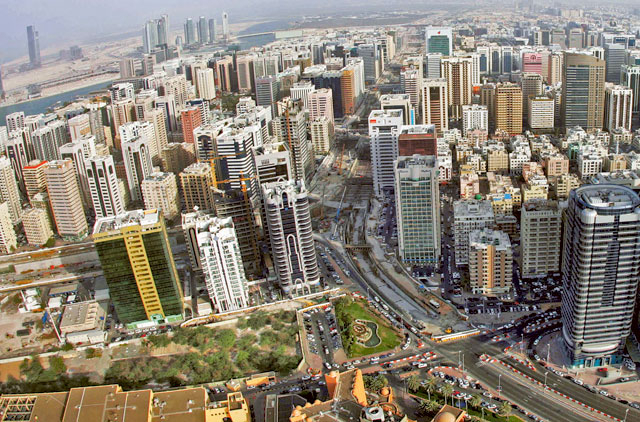 Abu Dhabi: Abu Dhabi’s ambitious programme Ghadan 21 is expected to have a Dh60-70 billion impact on the emirate’s gross domestic product (GDP) in the next three years, top government officials have said. Ghadan 21, also known as the Abu Dhabi Government Accelerators programme, was launched by His Highness Shaikh Mohammad Bin Zayed Al Nahyan, Abu Dhabi Crown Prince and Deputy Supreme Commander of the UAE Armed Forces, earlier this year, with a stimulus package of Dh50 billion to boost the emirate’s economy in the next three years. The development plan includes improving the competitiveness of the business environment, empowering and supporting small and medium-sized enterprises (SMEs), especially in the tourism and industrial sectors, and attracting foreign direct investment, among others. “The programme will impact positively in improving the competitiveness and will support the private sector, especially small and medium enterprises to boost economy,” said Saif Al Hajeri, chairman of the Abu Dhabi Department of Economic Development, while speaking at the Abu Dhabi Business Forum on Monday. He also said the department is working to improve the business environment in Abu Dhabi and remove some of the hurdles faced by businessmen while setting up their businesses. Officials also said they set ambitious targets as part of the Ghadan 21 programme, in terms of improving revenue and attracting investment. In a presentation during the forum, officials said that they are targeting revenue of more than Dh3 billion in the tourism sector and investment of Dh4 billion in research and development. “We’ve set targets that are ambitious. These include improving our global ranking in [the] ease of doing business to the top 20, lifting up revenues from tourism in Abu Dhabi to more than Dh3 billion and investing more than Dh4 billion in R&D [research and development],” said Ilham Al Qassem, acting executive director of Abu Dhabi Investment Office. The Abu Dhabi government is also working to provide more than Dh10 billion in funding for SMEs, she added. There will be a 25 per cent reduction in infrastructure and construction costs and 1,500 companies in free zones will be eligible to open on-shore branches. There will also be 15,000 affordable seats in private schools by 2021 as part of the new programme launched by the government.